Listing agent related to sellers. Come take a look at this spacious living room/dining room combo home with a private fenced backyard and no immediate back neighbors for added privacy. Kitchen includes refrigerator, garbage disposal range, microwave, dishwasher, white cabinets. All bedrooms have walk-in closets and updated bath. Washer and dryer hook-ups in hallway, ceiling fans, ceramic tile all updated. 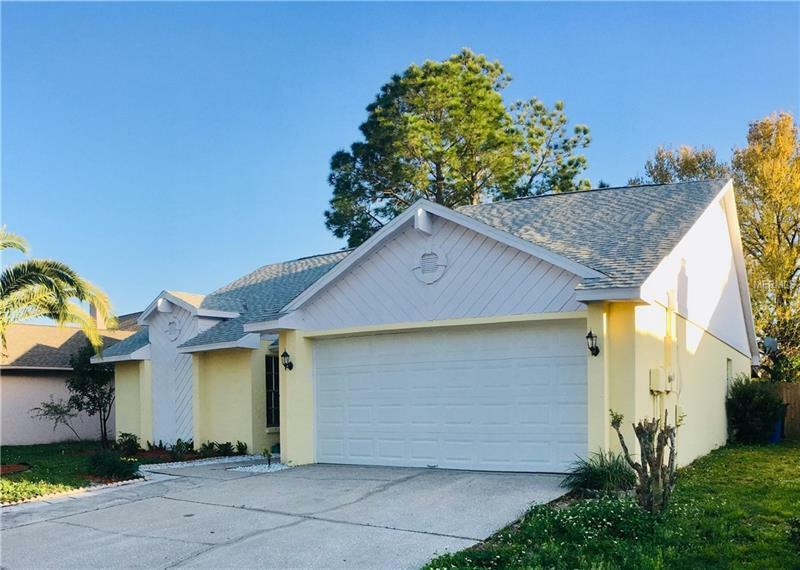 Located in the Copperfield subdivision, close to shops schools restaurants and best of all just minutes from Tampa International Airport, Veterans Expressway, and Citrus Park Mall. Many find this area to be a great place to live. Come take a look and see if you are one of the many.